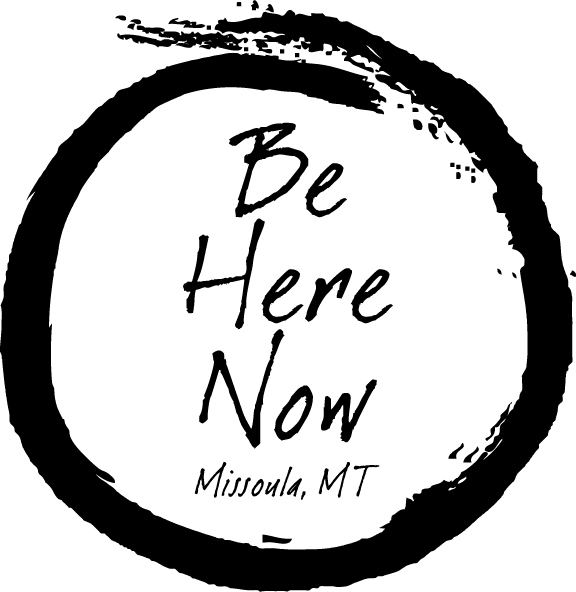 The Be Here Now Sangha celebrated our 10 year anniversary on Saturday with a meditation flash mob and picnic potluck at Greenough Park in Missoula, MT. What is a meditation flash mob? It’s a large gathering of people in a public place for the purpose of engaging in a coordinated, unexpected meditation sitting where everyone is invited to join with their deepest intention for themselves, their community and the planet (from the medmob.org website). I thought engaging in meditation with the community would be a wonderful way to connect with Missoula and have the fruits of the practice ripple outwards. 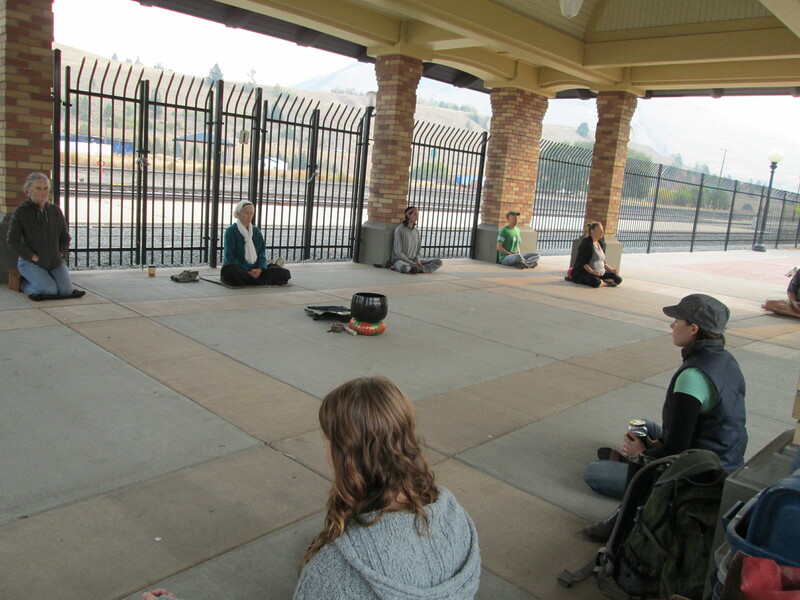 We wound up with a nice turnout of about 20-25 folks who showed up to sit in meditation at the farmer’s market in downtown Missoula. We were in the public eye but not in the way so the spot we found was perfect. From 11:15-11:45am we sat in silent meditation underneath a covered train platform (no longer in use) behind rows of local, beautiful produce. I found that the outside chatter greatly reduced my inside chatter and I was able to focus on my breath quite well. I heard from others as well who commented on how good of a sitting it was for them too. Towards the end of our meditation a long freight train click clacked closely behind us which was a bell of mindfulness for me, calling me to return to my smile. We had people of all ages which was wonderful and we closed our sitting with some bells and a standing circle where we joined hands and took a few breaths together before departing. Afterwards we went to a local park for a picnic potluck where about 20 of us (some the same and some different than those that came to the medmob) came together for food, music, games, community and cake! I just read a great article by Pema Chodron in Tricycle magazine (Fall 2012) entitled, The Fundamental Ambiguity of Being Human. I just love when something I am currently working on in my own life just happens to appear in an article I am reading. The subtitle of the article is: How to live beautifully with uncertainty and change. Last week I came down with a nasty case of laryngitis. It set in quick. One minute I was watching two little kids for some friends of mine, running around in the front yard, laughing and making sure the one year old wasn’t eating sticks and the next minute I had a terrible headache, a hoarse voice and sore throat. From there it got worse and I wound up with no voice above a whisper, an awful sore throat, fever, and no appetite. And I wound up having to cancel a bunch of plans last week that I really didn’t want to. And it was OK! I’ve been working on embracing the impermanent nature of life which, with my ever changing health and pain levels due to my nerve disease and newly diagnosed case of endometriosis, I get a lot of opportunity to practice. When I cling to my ideas about what should be going on, how I should be feeling, who should be doing what I create a reason to suffer when things don’t go a certain way. When I can make friends with one of the only true facts of life: that everything changes, the suffering element is removed. Sure there may still be pain there but it’s important to note the difference between pain and suffering. Pain is inevitable, suffering is optional. Pain is a normal response and suffering is the story we then attach to it. For example, I get sick with laryngitis and have a sore throat and fever: pain. I tell myself, “oh my gosh, I feel so terrible, I can’t believe I got sick, this is such bad timing, this always happens to me, I have so much to do, I can’t be sick!”: suffering. It is a deepening lesson in liberation being able to understand the difference. So when I got sick it was OK because I’ve been practicing to make friends with change. I really didn’t like having to cancel plans on people but I was able to let go of the unnecessary attachments that create suffering. 90 seconds! I don’t know about you, but that astounded the heck out of me. How telling of my self-constructed paradigm that I can sometimes stretch those 90 seconds into hours, days, weeks and sometimes even years of suffering. 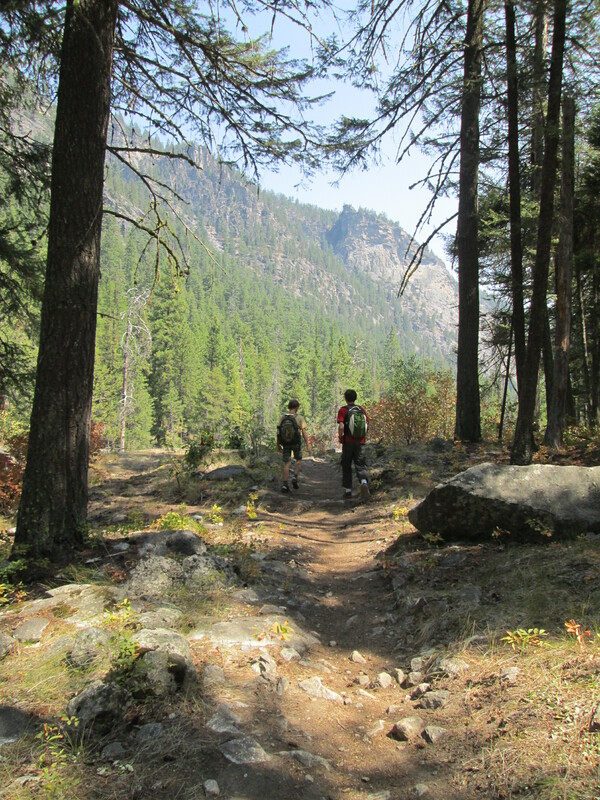 Change is all around and within us in every moment from our tiny cells dying and new ones arising to our plans getting rearranged, from our children suddenly growing taller than we are (see the above picture of my step-son Jaden with his friend Cadence on a recent hike in the Bitterroot) to getting the flu. Things change. People change. The weather changes. Emotions change. We change. It’s inevitable. It’s life. And it makes transformation possible. Be Here Now Turns 10! 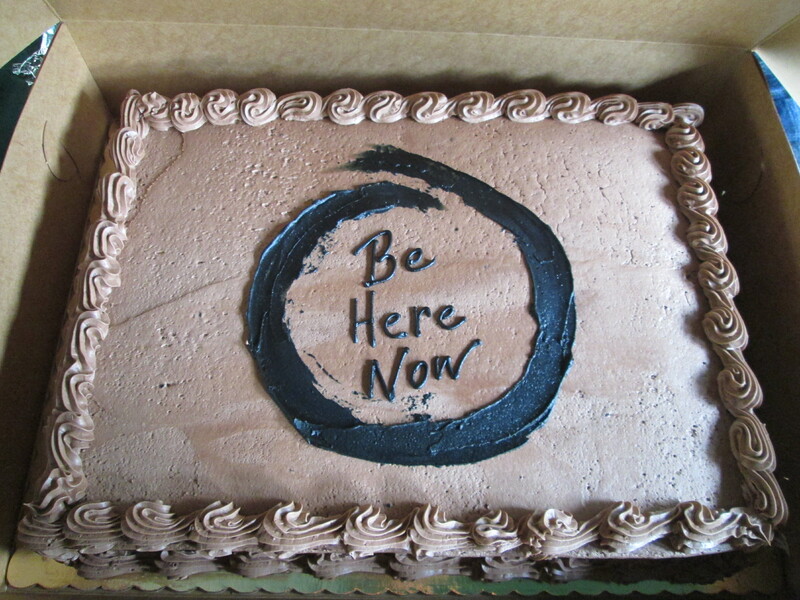 The Be Here Now Sangha will be turning 10 years old this month! To help document and celebrate our journey I thought I would write about the evolution of our wonderful Missoula community. I’m from the east coast originally, born and raised in the suburbs of Philadelphia, PA. I moved out to Montana in 1998 to attend the University of Montana. Well, I loved it so much I settled in and now call it home. I met my husband, a native Montana farm boy, and got married in 2000. After we got married we moved to Alaska for a year and then traveled around in our beloved old Ford van named Humphrey. We ended up on the east coast with my family for a few months working and living in our van. While we were there we came across our first sangha. They met in a unitarian peace church and were in the tradition of Thich Nhat Hanh (TNH). Once a week we would go and sit with them. It was our first encounter with a sangha and was something we looked forward to each week. Practicing silence and meditation, mindfulness and connection with a community of folks was very nourishing and healing. We made our way back to Missoula, MT in 2002 and I wanted a sangha to practice with. 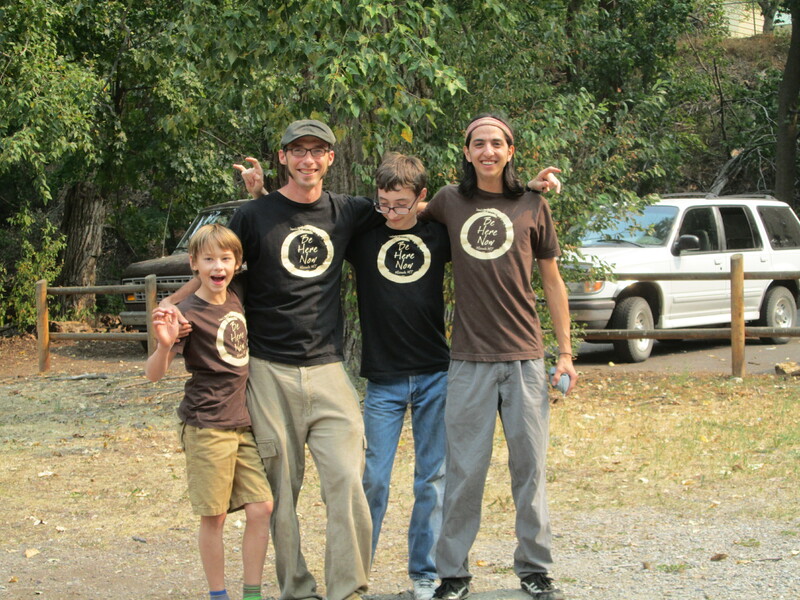 Open Way is a longtime Missoula TNH sangha but at the time I was unable to sit with them on the night that they met. So at 23 years old I started my own sangha with very little idea about what I was doing. I picked one of the first names that came to mind, something that was easy to understand and summed up the practice of mindfulness, Be Here Now! I bought a simple meditation bell at a local store, booked the free meeting room at the public library, put up some posters and voila, Be Here Now was born! I borrowed the format from our east coast sangha. a 20 minute sitting meditation followed by 2 rounds of walking meditation around the circle of cushions, a shared reading, an open sharing circle and a closing round of gratitude and healing. The first book we read at Be Here Now was the same book that started me on the path of mindfulness, Being Peace by TNH. Well, the library turned out not to work so great for our meetings. We weren’t able to schedule more than a month out and the meeting room filled up quickly with reservations so we couldn’t meet every week, which was not ideal. And oddly enough it was quite noisy outside the meeting room with kids running by. One day one of our regular attendees of the group mentioned that I should meet with Rowan over at the Open Way Mindfulness Center and see about meeting there. After only just meeting me Rowan (our local dharma teacher) offered up the wonderful space at the center for us to use for free every Monday night. It was a generous, unexpected, and ever joyful turn of events for Be Here Now. We now had a secure meeting spot in a beautiful meditation center. And the rest, as they say, is history. Be Here Now (BHN) is a wonderful example of how starting a community of practice doesn’t have to be complicated and over involved. When I started BHN all I really had was an intention of being diligent about showing up every week, no matter how many people came or what was going on in my own life. I was there every week without fail, which is one of the most important parts. I facilitated the group for about 7 years by myself. I turned the lights and the heat on, put out the cushions and gently guided our evening of sitting, walking, reading, and sharing. I kept it simple, authentic, welcoming, and un-buddhatized. We now have other facilitators that rotate and an average of 10-25 people a week, depending on the time of year. And we have new folks that join us pretty much every week. Some weeks I don’t feel up to going to sangha, but I go anyway because I know that every Monday when I leave I am always grateful I went. The Be Here Now community waters my seeds of support, joy, ease, transformation, mindfulness, authenticity and togetherness. I am forever grateful to all of the folks who have sat with us over the years and continue to come every week.